See part 1 of this sermon on 2 Corinthians 5. · We can always have courage because of God’s ultimate plan that He has for us and as he just mentioned, He has given us the Spirit as a pledge that He will fulfill it all. · Phil 1:21 For to me, to live is Christ and to die is gain. 22 But if I am to live on in the flesh, this will mean fruitful labor for me; and I do not know which to choose. 23 But I am hard-pressed from both directions, having the desire to depart and be with Christ, for that is very much better; 24 yet to remain on in the flesh is more necessary for your sake. · When someone becomes a Christian, from that moment on God will always be with him, but though He is with us, we are not yet with Him. · One day we will see Him and walk by sight, but that is not now the case. Our present walk must be by faith in His promises. · Between Verses 6 and 8 and our desire to leave this world and be at home with the Lord is the reality of V 7. The way we can please Him while we remain separated from Him is to live this present life by faith. · To walk by faith is one of His highest requirements for us. In Heb 11, His “Hall of Fame” of Faith, God says in verse 6 that it is impossible for us to please Him without faith. · It’s because of these facts we are of good courage. Yes, we have problems in this life, and lots of them, BUT we have a glorious, secure and eternal future awaiting us with our loving Father! What in the world is there to be discouraged about? · When studying many passages, you get to the end and then ask yourself, “how does God want me to apply what I’ve learned?” This passage tells us what to strive for and why. 9 Therefore we also have as our ambition, whether at home or absent, to be pleasing to Him. 10 For we must all appear before the judgment seat of Christ, so that each one may be recompensed for his deeds in the body, according to what he has done, whether good or bad. · One day, we will appear before the judgment seat of Christ and since pleasing the Lord is the ultimate goal, our highest calling and ambition, what actions or attitudes can we adopt from this passage that will be pleasing to the Lord. This is the Bema judgment at which only believers will appear. The “good or bad” referred to is not good and bad in the sense of righteous and wicked, but good and bad in the sense of profitable and worthless as is shown in 1 Cor 3:12-14 where each man’s works will be tested by fire to reveal whether they are gold, silver and precious stones or merely wood, hay, and straw. · We know from other passages some general qualities that He wants us to have – faithful, obedient, loving and humble, but what specific applications can we make from this passage? In Conclusion, I want to show you three objects. Realize that life is short. Make decisions and use your time accordingly! Here are some ideas for some spiritual goals for the coming year. · Reading through the Bible in 2009. John 12:24 “Truly, truly, I say to you, unless a grain of wheat falls into the earth and dies, it remains alone; but if it dies, it bears much fruit. This verse is crying out for service and opportunities abound. What can you do to serve at home, at work, in the church, with missions, the poor, in your neighborhood, or with the sick. Here are some specific ideas. 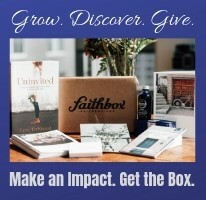 · Participate faithfully in GROW. Paul wanted to use every opportunity to please the Lord, even his death! Death is a great opportunity to be a witness for the Lord! You can use your death as a pulpit to share with perhaps an even greater impact than when you were alive! Here are some possible applications that you can make. · Share the gospel or anything else you want clearly said in your will that for whatever reason may not have been able to be shared earlier. You can be very personal addressing individuals by name. Consider Jesus’ crucifixion, which seemed like a terrible defeat. God transformed it into one of the greatest victories of all time! So too for us, the sting death has been removed. For believers, death frees us from this body of sin and disease. It’s the finish line that should motivate us to Christ likeness. There is nothing to fear in death, but actually the validation of our ticket for a new, glorified body and entrance into God’s presence!